The Shasta Land Trust is the organization it is today because of the volunteers that have continued to build its foundation of success since 1998. You make the conservation of this beautiful region possible, and we sincerely appreciate all you do! Each year, the Shasta Land Trust plans and carries out a unique series of events in our area, and each year we need help putting it all together. We start planning for Wildways early, so don't wait to contact us. If you enjoy sharing your experiences with others, you could staff our booth as a representative of Shasta Land Trust for one of the numerous events that occur in the local area. If you like rolling up those sleeves and getting some fresh air, then this is your type of volunteer work! 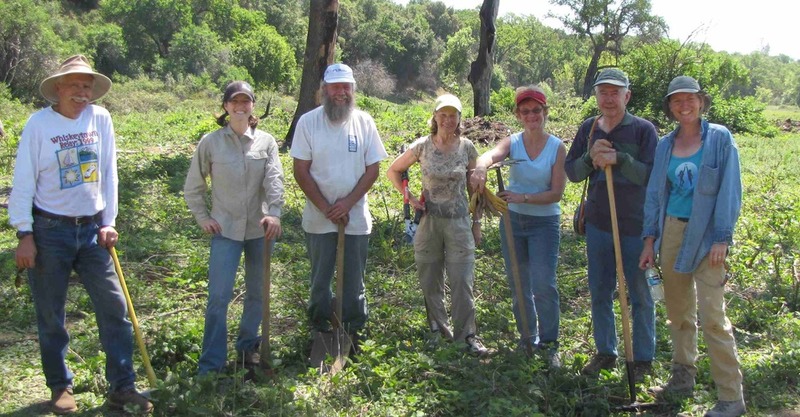 Field work opportunities with Shasta Land Trust include restoration events, cleanup events (Great Sierra River Cleanup), and conservation easement monitoring. Volunteers assist with mailing Shasta Land Trust newsletters, Wildways Kickoff invitations, brochures, and other mailings. We welcome volunteers on a regular or on-call basis. As a small non-profit, SLT gets much of our work done through our Board member led committees. Please contact the Land Trust if you have an interest in getting involved.